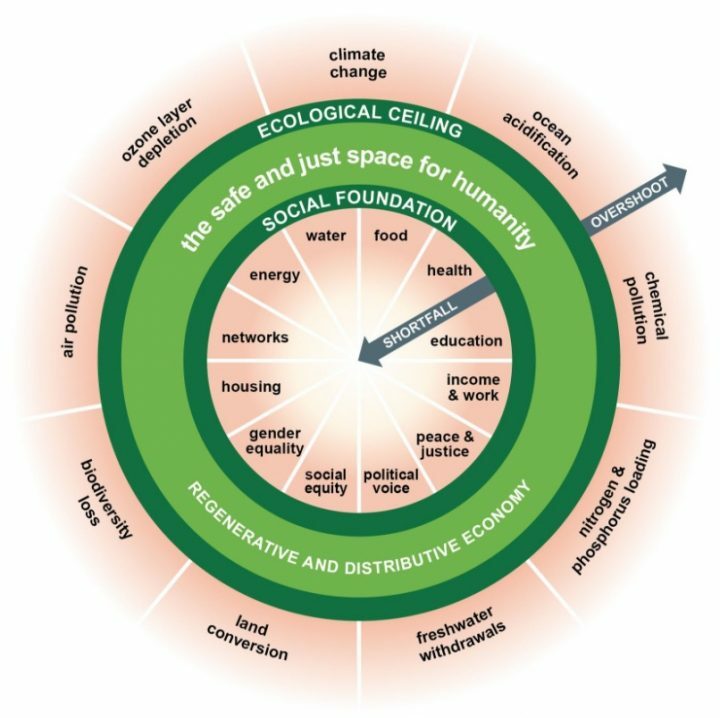 Changing What's Normal - Ian Berry's Blog: What would a sustainable, universally beneficial economy look like? 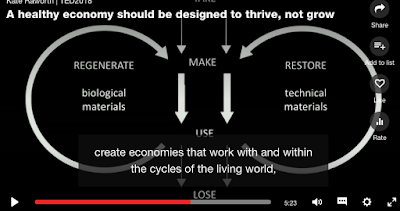 What would a sustainable, universally beneficial economy look like? The question proposed as the headline above is well answered in the TED talk below. I also love Kate's doughnut of social and planetary boundaries (see picture at the end of this post). I admit that all the talk about growth by politicians and some business leaders has taken me to boredom. I stopped trying to grow my business a long ago. My continuous quest is to provide value to my clients that they can't get anywhere else, and as a consequence continue to live the lifestyle I have chosen. PS Great points in the talk about the useless measurement of GDP and our addictions to growth and consumption of stuff. And my favourite word perhaps "regeneration." PSS I don't believe it's all about the economy. I believe we need to return to focusing on the economy being part of society and never return to where we are now where society is part of the economy.